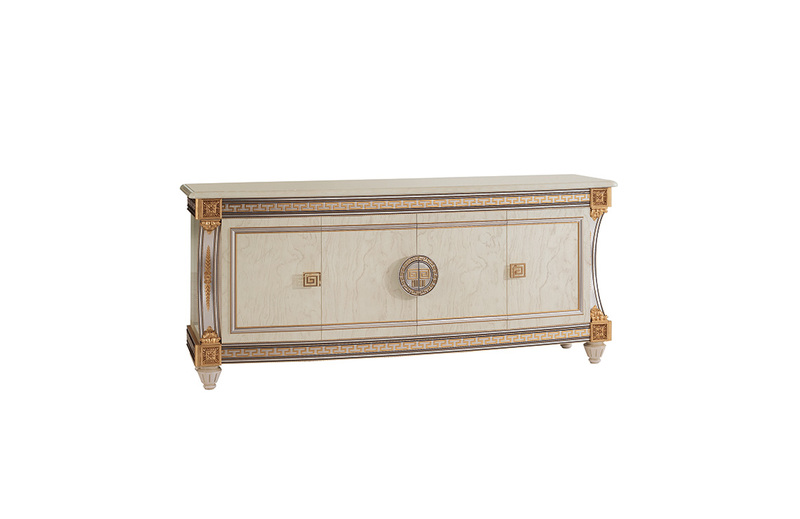 The buffet from the Liberty collection shows off the most profound and creative aspect of simplicity. From its elementary form, the parallelepiped is transformed into a design feature you would not want to be without thanks to considerate and creative friezes, notwithstanding innovative bordering and finishes. The golden Maeanders and laterals combine with the large front section, embellished with elegant geometric handles in the tasteful Italian tradition.